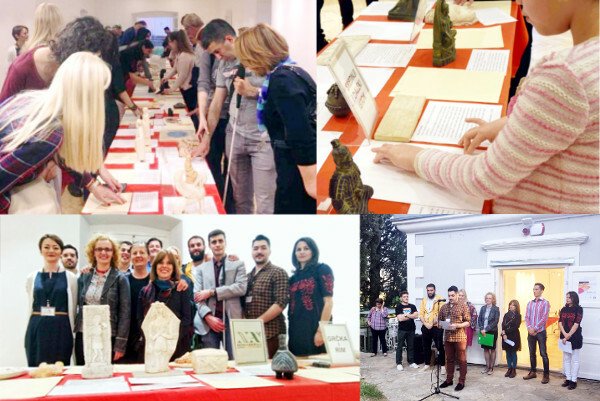 In cooperation with the Union for the Blind and the support of the Center for Contemporary Art, both of Montenegro, in addition to the collaboration of the City of Podgorica, New Acropolis organized an exhibition for the blind and visually impaired entitled “Please Touch”. The exhibition took place in the “Perjanički Dom” gallery, and presented fifty archaeological reproductions of known works from our cultural heritage. The pieces were accompanied by descriptions written in Braille and in large letters to make it possible to read, as well as inviting visitors to touch and feel the reproductions with their own hands.